Thanks Romke, Regis & DerLitograph. @ DL: actually no masks and selective sharpening are used, the line up combined with the excessive sharpness and impressive bokeh of the 135mm lens does the trick. Great portrait ! I really like that there are two portraits actually. 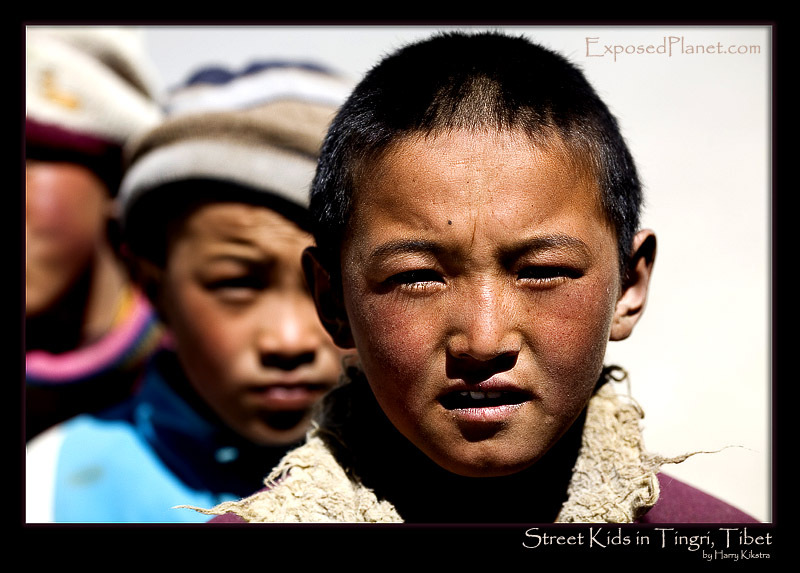 The story behind "Street kids in Tingri, Tibet"
I was trying to capture the street scene in dusty Tingri, but it did not work. I heard voices behind me and turned the monopod around and looked into the eyes of this boy, with his friends behind, walking towards me as if instructed to pose.